The SCP-2370RH is a professional high speed infrared PTZ (Pan/Tilt/Zoom) camera featuring 37x optical zoom and built-in 2EA IR LEDs to provide high resolution image at night for up to 100m distance. The dome changes its infrared intensity to provide the appropriate amount of IR light at a certain zoom ratio, allowing the SCP-2370RH to capture details clearly at night. 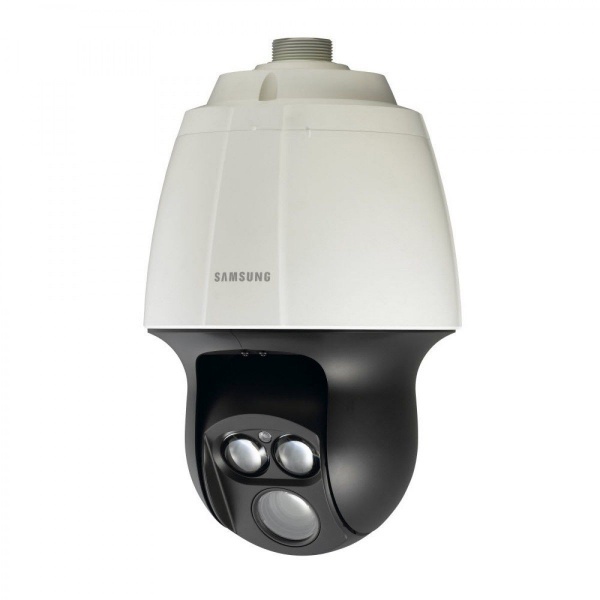 Embedded with Samsung's W-5 chipset, the SCP-2370RH offers true day and night, motion detection, and SSNRIII, the 3rd generation of Samsung Super Noise Reduction to deliver clear and vivid images. Also its built-in fan and heater and IP66 rated housing will make the SCP-2370RH to be suitable for any challenging condition.